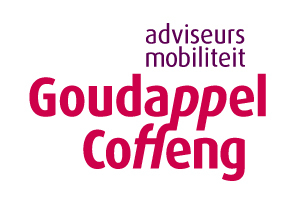 Goudappel Coffeng is a consulting firm on mobility engineering, serving customers with knowledge and skills on a variety of subjects: spatial planning, road safety, road design, transport modelling and planning, public transport, parking, mobility policies and planning. Our strategy can be framed in one sentence: as a knowledge leader in mobility we combine our areas of expertise into integrated solutions for today’s journey and tomorrow’s world. For the international market we can add to this: to use proven Dutch solutions on mobility to create sustainable, accessible, liveable and economic flourishing cities world wide. Improving Urban Performance: Bike-inclusive planning and integrated network design create attractive vital cities, making better use of scarce space. Dutch cities are famous for their high quality of life with smart mobility systems. Goudappel is strategist for urban mobility all over the globe. We align city goals and mobility plans for long term and tomorrow. Understanding Mobility: How people move, when, where and why is vital for strategic planning, urban design and traffic management. Goudappel has the monitoring tools and a vast knowledge base on mobility behaviour and best practices. Transport modelling & Network Design: Forecasting is key to sound investments in infrastructure. We are leading in forecasting mobility and designing the multimodal network to serve it. Goudappel provides world-wide recognized tools, with or without the planning team to use them. Making ITS work: Smart mobility technology asks for smart mobility engineering. That is our role, both integrating technical components as well bridging the gap between technology providers and the mobility domain.